Hi loves! So I have bought a bunch of makeup over the last few days. 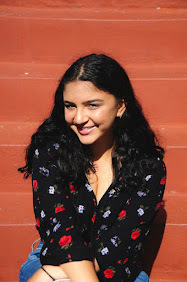 I'm going to do a haul and first impressions. All products I bought with my own money. I went to Sephora, and Duane Reade. 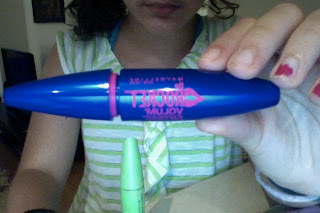 The first thing I bought was Maybelline New York the Rocket Volum' Express (Yes, I didn't mean volume). It comes in an indigo tube with pink lettering and the wand has pink bristles. The mascara is a bit watery when you dip the wand in and it clumps the eye lashes. 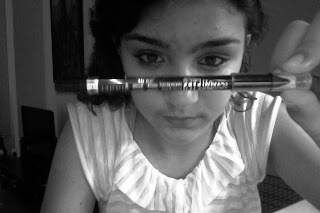 In my pictures I am wearing this mascara. I personally like the eyelashes a bit clumped but others don't. I also chose not to curl my eyelashes before I put it on since I curled them in the morning. So above is what the tube looks like. The wand looks like this. The second thing I bought, is yet another mascara. 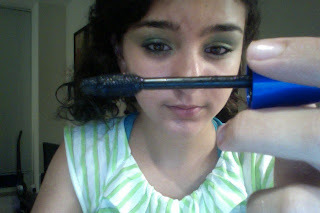 This is the Covergirl Clump Crusher by lashblast. 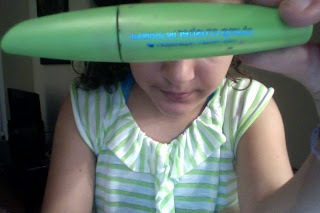 The mascara is water resistant, a fancy way of saying waterproof (lol!). I curl my lashes before I use it, even though I don't think its necessary for everyone. If you have naturally curled eyelashes then you obviously don't need to curl your lashes. 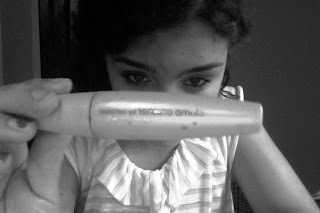 The mascara has lasted me the whole day and I can recommend it by itself or ontop of another mascara. Nothing bad about it. I personally have liked it since I first put it on. 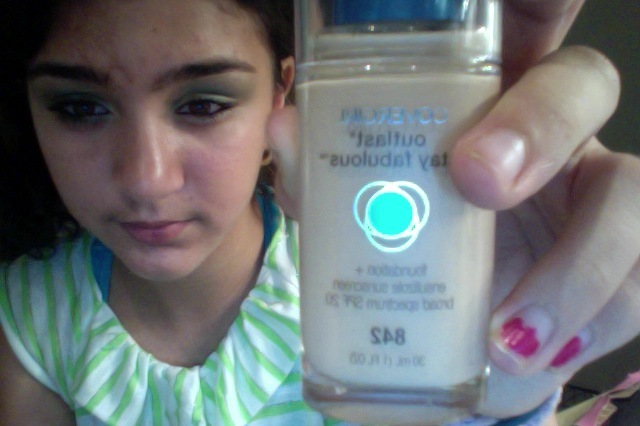 The next product I got was the Covergirl outlast stay fabulous foundation and SPF 20. I like the idea that it is a pump instead of pouring the foundation onto the sponge. It comes out easy and I put four pumps onto a sponge to blend it in. 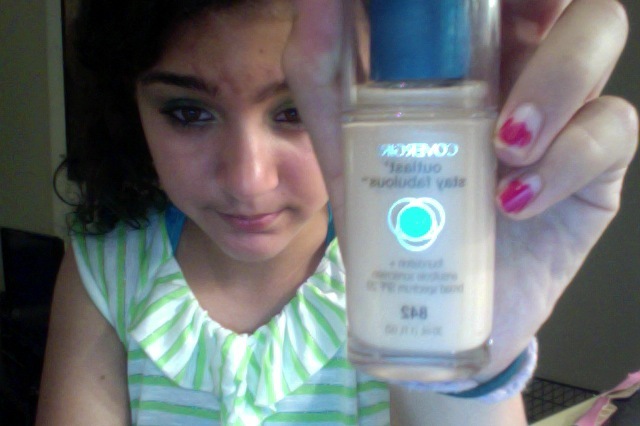 I really liked this foundation. Some foundations clog pours but this one didn't. It also stayed the whole day even though I worked out for 45 minutes. Yes, yes I know you aren't suppose to workout with makeup on but I didn't have any touch up with me. But overall, I really liked the foundation and when I finish it I would definitely re-purchase it. This is one of my favorite purchases! This is the Naked 2 eyeshadow palette by urban decay. The palette costs $50 which is a bit pricey. I think this is a very good investment. 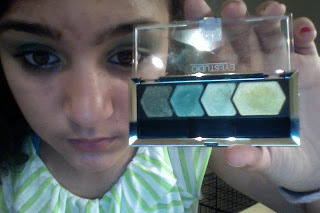 Like everything in this post, I bought this eyeshadow palette with my own money. 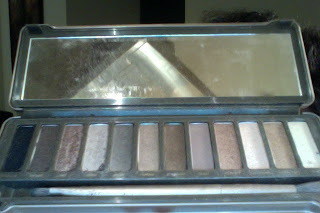 The colors in this palette or slightly more shimmery but they are lighter then the original Naked palette. 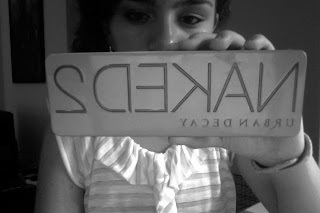 I do not have the original naked palette. But if you are looking for a good investment in eyeshadow I suggest you look at them. 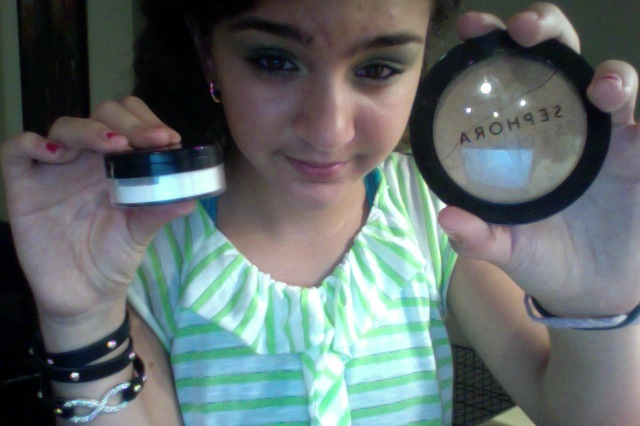 The white powder in the picture below is loose setting powder (sephora brand). The brown powder is foundation. I heard a rumor that there was a chemical in the MAC setting powder that is known to cause cancer. But the Sephora setting powder doesn't have that chemical. This was also my first time using powder foundation. 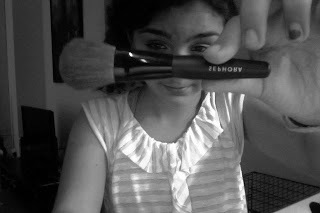 I used my new powder brush and I personally really liked it. Again, this brand is kind of pricey but if you want to invest in foundation, I suggest it. 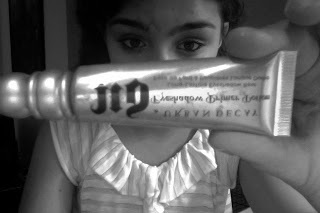 This is the urban decay primer potion. It doesn't do wonders like you won't see a major change in your eyeshadows. If you are using brighter colors like blues, yellows, and oranges then you can see that it stays on longer. If you are using neutral colors, I didn't notice any difference. I heard that the Maybelline color tattoo is good but I have not tried that yet. 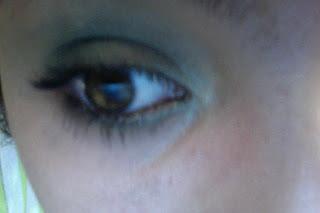 I was using Almay black eyeliner for sometime. I did not like it. That will be a different post. But it would smudge and not stay on my water and tight lines on my eyes. I am now using the Rimmel Scandaleyes. It stays on longer and it goes on really easier. I have not figured out how to sharpen it yet though. But overall, I really like this eyeliner. Before two days ago, I didn't have any makeup brushes. I would either use my fingers, sponge tips, or the brush they came with. 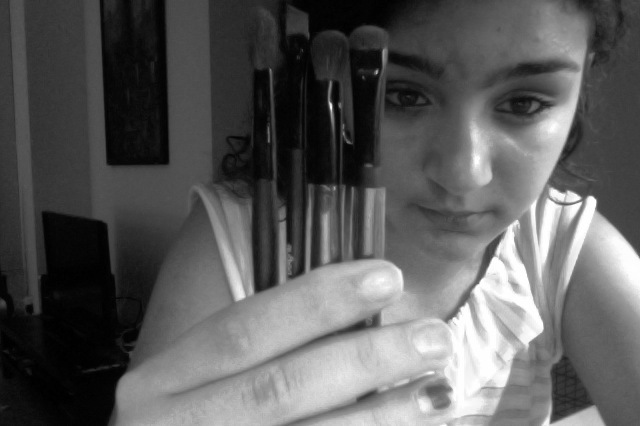 I think a good investment is brushes. I got travel brushes for $32. They are smaller and come with an eyeliner, smudge, powder, crease, and lid brush. This is good for doing multi colored eyeshadows. The look and quad I used is from one of the Maybelline quads. If you can notice, one eye is lighter then the other with the eyeshadow. That was on purpose because I was trying a day look vs a night look with that quad. If you want, I can post about it. I really enjoyed playing around with it.